These Mexican Morning Tacos are my own version of a very popular antojito in my hometown. It is a mix between a “Taco Mañanero” and a “Cachetada”. Let me explain it: Taco mañanero is a taco usually sold in the early morning hours when most people are rushing to go to work and didn’t have time for breakfast at home. They will stop at a taco stand and buy these mouthwatering tacos and eat them along the way to work, eat them at their workplace or standing in the street next to the vendor. The “Cachetada” means “slap or slapping”. Yes, like when you slap someone in the face. Why are they called that way? I have not an idea. But my guess is that it has something to do with how they are prepared. 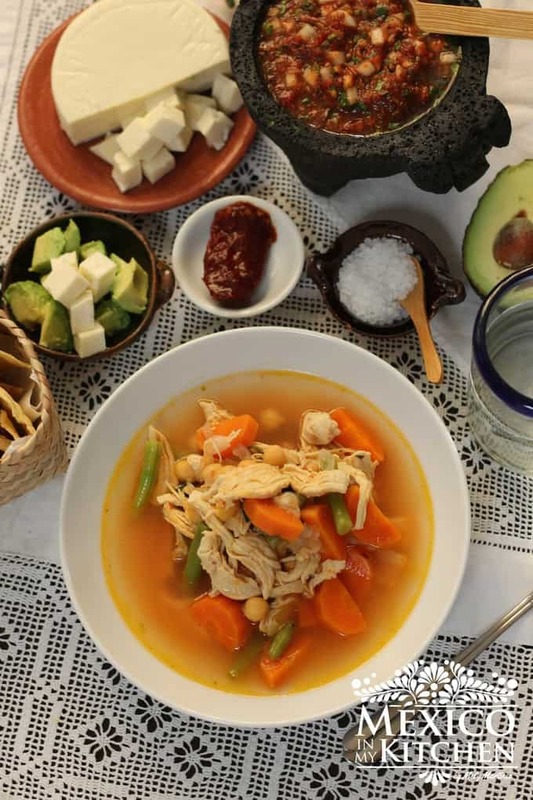 The cook works at a very fast pace, like slapping the ingredients into the tortillas and with very fast moves slapping the tortillas into the griddle. One difference you will notice is that a regular morning taco in Mexico is folded, while the “cachetadas” are sort rolled and then flatten, see pictures below. 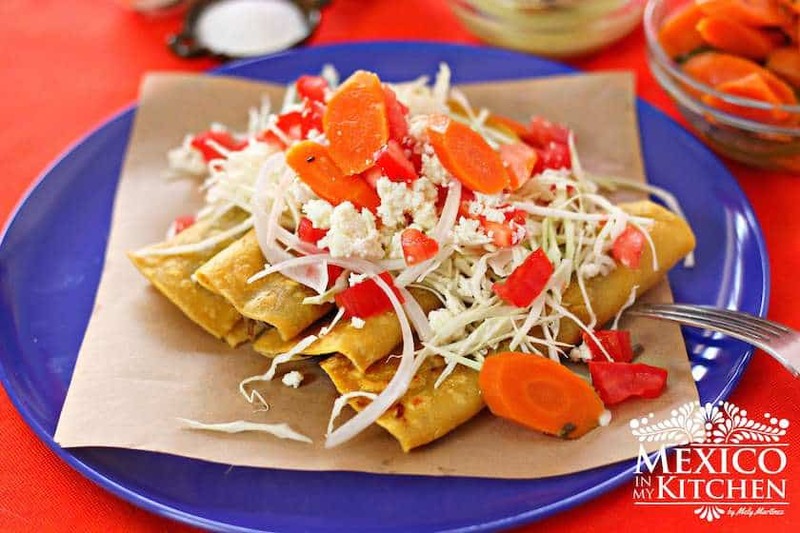 These type of morning tacos “cachetadas” are made to order while the tacos mañaneros have been made earlier and just kept warm in a large basket, covered with kitchen napkins. Both could be considered street food. But, who doesn’t like street food? For those of you vegetarians out there, they are also made with a potato filling. Great for a Sunday Brunch or dinner. Spread a small amount of the refried beans in the tortilla. Add a small portion of the meat and fold the tortilla. Place the folded tortillas back in the hot skillet or griddle and with the help of a pastry brush apply vegetable oil on both sides of the tortillas. To serve, place 3 tacos per person on a plate and top with cabbage, onion, tomatoes, and cheese. Serve your morning tacos with Mexican cream on the side. Mexican Morning tacos is a taco usually sold in the early morning hours when most people are rushing to go to work and didn’t have time for breakfast at home. They will stop at a taco stand and buy these mouthwatering tacos and eat them along the way to work, eat them at their workplace. Warm the tortillas at a medium-high heat skillet or griddle. Spread a small amount of the refried beans on the tortilla. Keep the folded tortillas warm in a kitchen napkin while you finish assembling all your tortillas. Place the folded tortillas back on the hot skillet or griddle and with the help of a pastry brush apply vegetable oil on both sides of the tortillas. Warm your tacos for about 30 seconds per side. Serve with Mexican cream on the side and garnish with slices of pickled carrots and jalapeños, if desired. 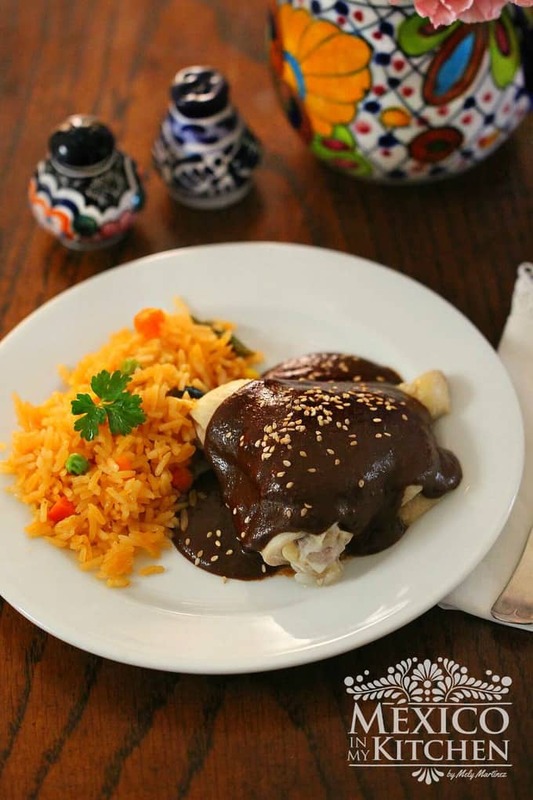 The original recipe is made with lard and the tortillas are completely fried in it. This is my own version using less oil. Yellow tortillas somehow taste better in this kind of taco but white corn tortillas work fine, that is why you see 2 types of tortillas in the pictures. My friend Nora’s own version of these Tacos HERE. Si a mi me diesen estos tacos de desayunar todas las mañanas me levantaría con muuuucho gusto, qué ricos!! Sounds like the "metidas" we just to buy on our school recess back in Oaxaca. Funny name too, "metidas" . Thank you for all your kind comments. Hi, this looks delicious! 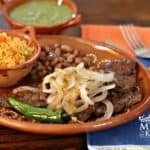 What is the Mexican cream you mention can be served with this? I don't see it on your recipes, but would love to see one. The mexican cream is usually sold at latin stores here in the states. You can use heavy cream instead if you don't have a latin store close by. 😊. 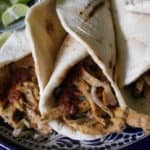 First time I heard about these Tacos they are delicious in the morning Thank you for sharing !